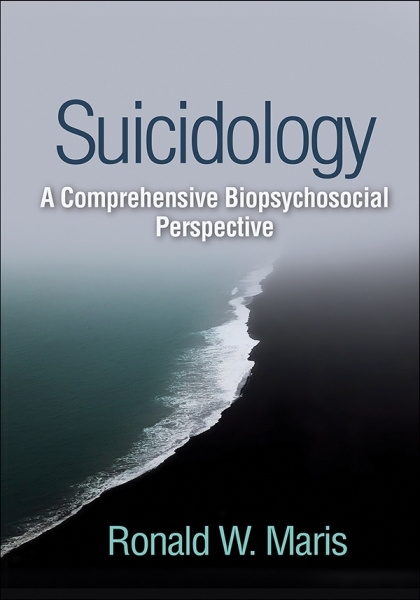 Ronald W. Maris, PhD, is Distinguished Professor Emeritus of Psychiatry, Family Medicine, and Sociology at the University of South Carolina (USC), where he directed the Center for the Study of Suicide for 15 years. He is a forensic suicidologist who offers investigation, consultation, and testimony on a variety of civil and criminal cases. Dr. Maris has written or edited 22 books and about 100 articles. He is past president of the American Association of Suicidology and a past editor of the journal Suicide and Life-Threatening Behavior. The recipient of four teaching awards from USC, Dr. Maris was certified in forensic suicidology by the American Association of Suicidology and earned Fellow status in the American Academy of Forensic Sciences. He has been invited to address the U.S. Congress on veteran suicides; was a consultant on the Columbia University/Food and Drug Administration project to analyze data on the relationship of suicidality and antidepressant treatment in children and adolescents, leading to black-box warnings; and has served as consultant and reviewer for grant applications to the National Institute of Mental Health, the American Foundation for Suicide Prevention, and the National Academy of Sciences.